Courtesy of Jocko Willink and Leif BabinJocko Willink and Leif Babin on duty as Navy SEALs in Iraq. They said that strong leadership does not including making demands and micromanaging, which is what pop culture has led many civilians to believe works in the military. 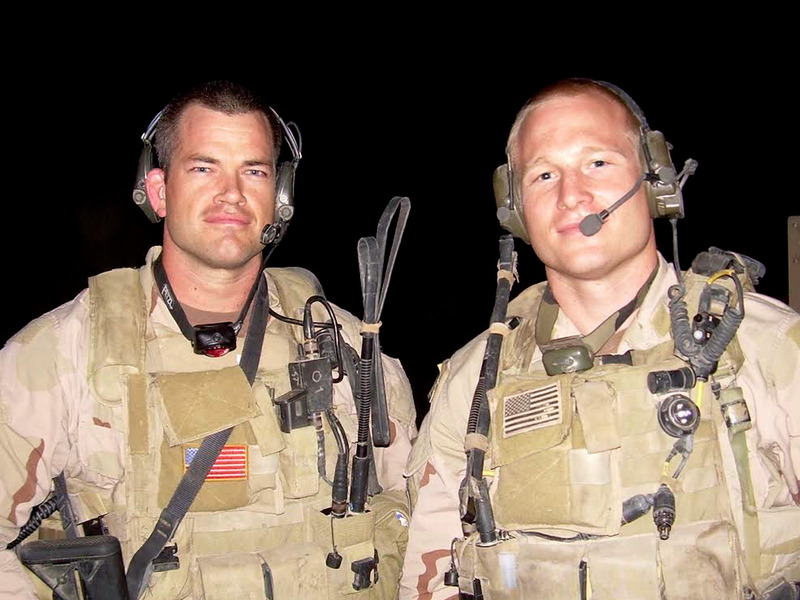 Former Navy SEAL commanders Jocko Willink and Leif Babin are tough-looking guys. Every morning at 4:30, Willink tweets out a photo of his watch, a signal to his followers that he’s about to have a tough workout in his garage gym. Babin has a loud, gravelly voice a casting director for a movie about SEALs would love. The title of their first book about leadership has “extreme” in the title. It makes sense, then, while some people misinterpret the philosophy behind their leadership consulting firm, Echelon Front. Similarly, Babin spoke of a client who had been reading the works of Gen. George Patton so much that he thought he would approach his team at the office as if they were preparing for battle. “I think they look at guys like me or Jocko and think that we’re going to be the guys that yell and scream and smash people down,” Babin said. In part to counteract the idea that a boot camp experience represents how officers treat their troops in the military, an idea bolstered by years of movies and shows showing just that, Willink and Babin wrote their new book, “The Dichotomy of Leadership.” In it, they illustrate leadership principles through experiences in the Iraq War as part of US Navy SEAL Team 3 Task Unit Bruiser, as well as Echelon Front. Willink led the task unit and Babin was one of two platoon leaders reporting to him. And since 2010, they have worked with more than 400 businesses. “One of the things that we wanted to at least explain a little bit was the title of our first book, ‘Extreme Ownership,'” Willink said. The concept is about leaders taking responsibility for everything that happens under their watch. That doesn’t mean taking all the glory of a victory, but it does include not passing the blame to others or circumstances when something goes wrong. And it certainly doesn’t mean whipping anyone into shape. Willink and Babin both said that civilians often assume that troops blindly accept orders from their superiors, but that ignores a fundamental reality – these are human beings, and you don’t accept just anything when your life is on the line. That’s why it’s so important to explain the why behind tasks. The new book is an exploration of finding the balance between ownership of responsibility and trusting a team. “So, for instance, you might end up micromanaging, because you want to control everything that’s happening, and then guess what, you’ve got a team that won’t make any decisions on their own,” Willink said. They won’t show any initiative. At the other end of the spectrum, if you don’t take any control at all, your team doesn’t know what direction they’re supposed to be going and that’s going to be problematic. “What you have to do is you have to find that balance right in the middle, not one of the extremes,” Willink said.